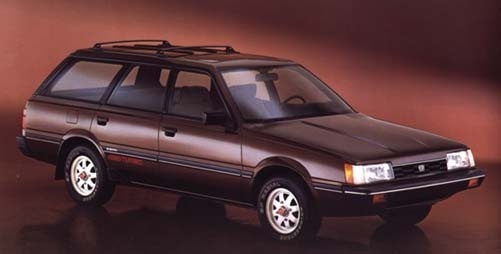 Have you driven a 1987 Subaru GL? 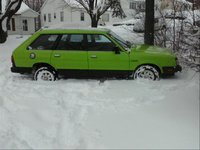 Displaying all 3 1987 Subaru GL reviews. This Is My Favorite Car — I got this car when i was actually looking at something else. But i ended up totally loving it. It was econimical as all can be and save for a carbeurator issue was a perfcet car. never a problemalways got me from point A to B without a fuss. the GL hatch was practical and the fit and finish were top notch for its time. it also survived a bad accident and kept goin. I Would Drive This Car To New York And Back If I Had To. — This little Roo (LR) has been in the family for about 13 years. In that time I've done about $1500($115 a yr) in maintenance.The Roo isn't a hot rod or a huge mud bogger, But the Roo makes up for it on the drives up to the ski resort, camping trips or logging road/rock crawling. LR has plenty of pep through town and up to 80 mph on the hwys. MPG is 21 city and 29 hwy. In the next couple of months im going to be putting a 4' lift and 29'' tires on. Getting her up about 8" from stock. can't wait! Cons: after about 120k they get bad oil leaks and DON'T FORGET TO CHANGE THE TIMING BELTS.